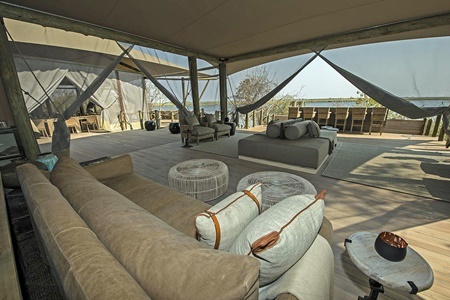 DumaTau Camp is a luxury tented camp located in the private 125 000 hectare Linyanti Wildlife Reserve bordering the western boundary of the Chobe National Park, northern Botswana. 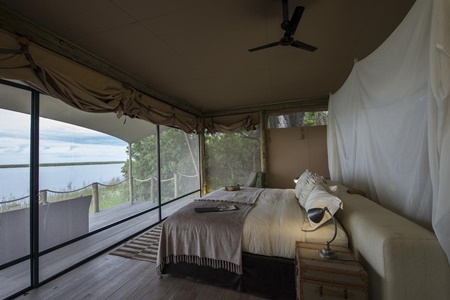 There are ten luxury en suite tents including a honeymoon and family tent that can sleep up to 4 (2 bedrooms sharing one bathroom). 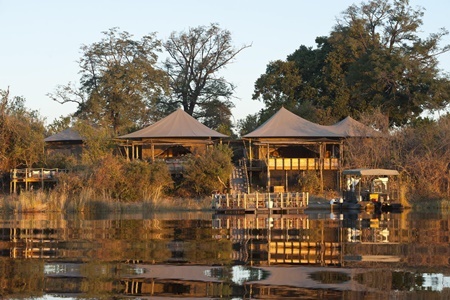 All tents are canvas with a thatch roof and raised off the ground on raised decks with wooden doors. The en suite facilities include and indoor and outdoor shower and there are over-head fans and mosquito nets. The honeymoon tent also has an outside sala. 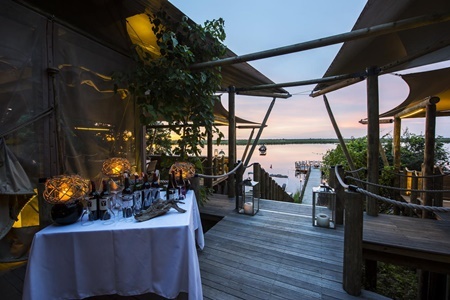 The tents are positioned with lovely views over the floodplains and lagoon. 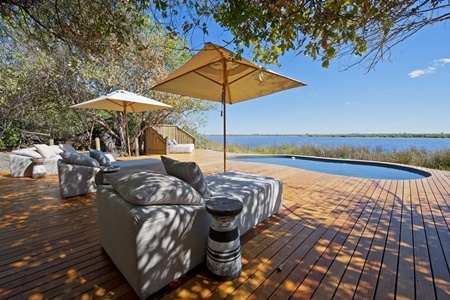 DumaTau Camp is in an ideal position, under a shady grove of mangosteen trees and overlooking a large hippo filled lagoon. There is a dining room, pub, lounge and swimming pool to cool off in the day. 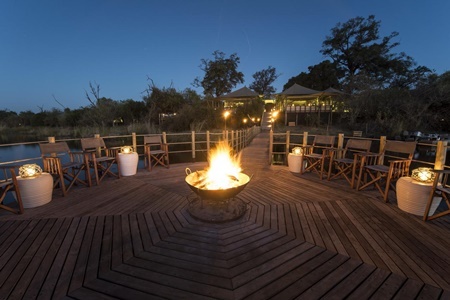 The outdoor boma also allows for outdoor dining under the African night sky. 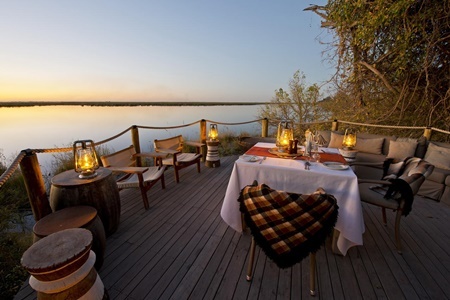 Duma Tau Camp is close to the source of the Savute Channel as well as the Linyanti waterways. Predator sightings of lion, cheetah and wild dogs are good. 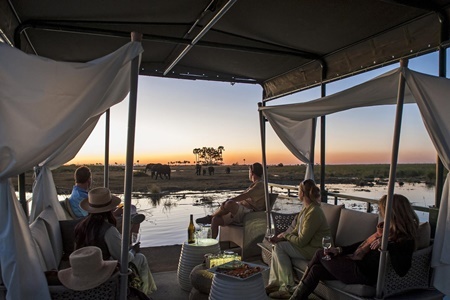 Elephant viewing is amongst the best anywhere especially in winter. Plains game viewing is good - zebra, giraffe and excellent hippo. Night drives on the Channel are superb. Excellent birding. Your stay includes all meals, game activities and selected drinks. 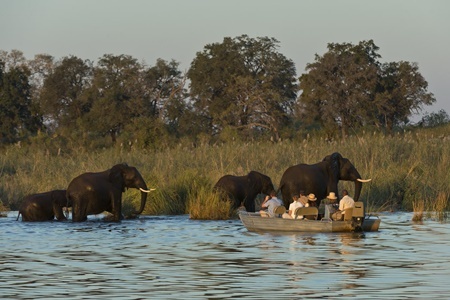 Experienced rangers will share their knowledge of the bush with you. 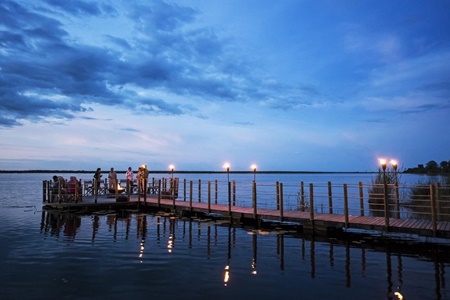 Access to Duma Tau Camp is possible with daily flights from Maun (Botswana) or Kasane - ideal if you combining with a few days in Victoria Falls. You can either take a road transfer to Kasane (3 hours) or a short 20 minute flight. Speak to us for the best way to include in your holiday.